Ica Medina is a Black Belt and certified instructor under 8th Degree Black Belt (Coral Belt) Rigan Machado (Nephew of Grand Master and founder of Brazilian Jiu-Jitsu, Carlos Gracie Sr.). 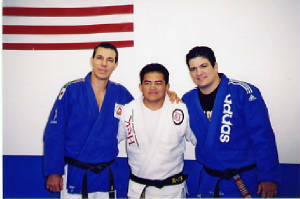 In October 2000 Ica Medina became a Black Belt in Brazilian Jiu-Jitsu. 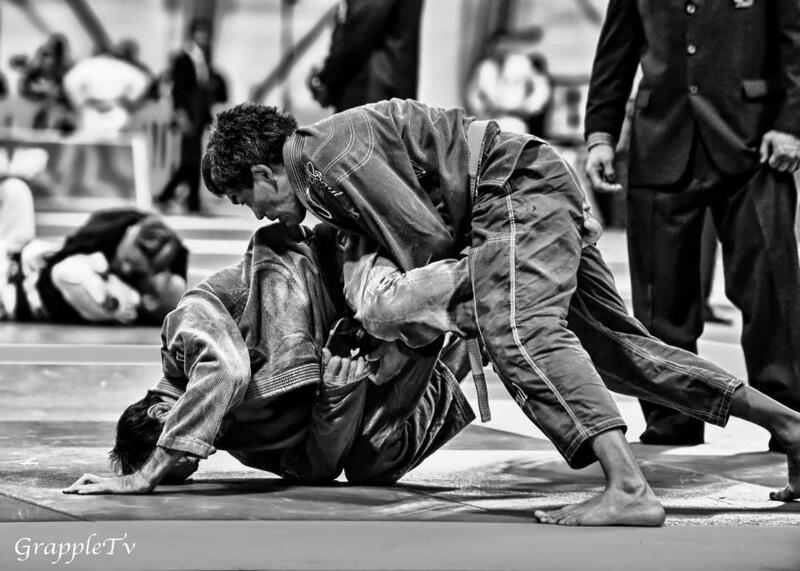 He also became the first Mexican to earn the coveted Black Belt in Brazilian Jiu-Jitsu. This was a great moment for Ica and he is very proud to have earned this title. Ica was born in Merida, Yucatan, Mexico. At an early age, he began to show interest in sports, especially Martial Arts. As a child in Merida, he developed a passion for boxing. A passion that he had then and still has now. When he was 18, Ica immigrated to the United States looking for other types of training and techniques. Once he established himself in the U.S. the doors of Martial Arts began to open. After practicing Judo and Karate, he began to transition to Muay Thai because of its similarities with boxing. This transition led him to Guru Master Dan Inosanto. Some years later he was invited to participate in a special class. This class was to be taught by none other than, Rickson Gracie. He liked this class so much that for the next three months he couldn’t think about anything but BJJ. After those three months, Ica was again invited to another class, this time with the Machado brothers. At that time he met five new friends: Rigan, Carlos, Jean Jacques, Roger, and John. After meeting his new friends, he decided to make the Machado Academy his choice for BJJ. Since 1996 Ica has traveled to the south of Mexico (Yucatan) to hold seminars and later run to the cities of Mexico, and Acapulco with his instructor Rigan Machado. Nowadays Ica travels all over Mexico and the United States. 2015 NAGA San Diego 2nd place Black Belt middle masters. 2015 NAGA San Diego No-Gi 2nd place middle master. 2015 NAGA Las Vegas 2nd place master. 2015 JJWL Championship 1st place master open. 2015 JJWL Championship 2nd place master. 2013 World Jiu-Jitsu No Gi 2nd place Heavy. 2010 Pan Championship 1st place seniors Heavy. 2009 Pan Championship 3rd place seniors open. 2005 Pan Championship 1st place seniors Middle. 2005 Pan championship 3rd place seniors open. 2004 Pan American Championships – 3rd place. 2003 December Black Belt Challenge – 1st place. 2003 American International Championship – 1st place Light Heavy. 2003 American International Championship – 2nd place Open. 2002 International Jiu Jitsu Championships Black Belt – 1st place. 2001 Grappling Games Black Belt – 1st place. 2000 RCJ Machado Jiu Jitsu Submission Tournament – 1st place. 2000 III Copa Pacifica – 1st place. 1998 Machado Jiu Jitsu Championship – 1st. 1997 Pan American Championships – participant. 1997 Joe Morieria Annual Championships – 1st place. 1996 Pan American Championships – participant. Ica’s Philosophy as an instructor and competitor is the same as his instructors, The Machados. Not to prove or impose himself onto other styles of Martial Arts. His main concern is to share what he has learned, open-minded to new ideas. This open attitude has helped him to establish himself in the Martial Arts community worldwide with a great amount of friends and followers. Cindy Omatzu. 4th degree Black Belt under master 8th degree Coral Belt Rigan Machado and Black Belt Leka Viera. Cindy Omatzu is the first female to receive the rank of Black Belt in Brazilian Jiu-Jitsu outside the country of Brasil and at the same time the first American female Black Belt in Brazilian Jiu-Jitsu. 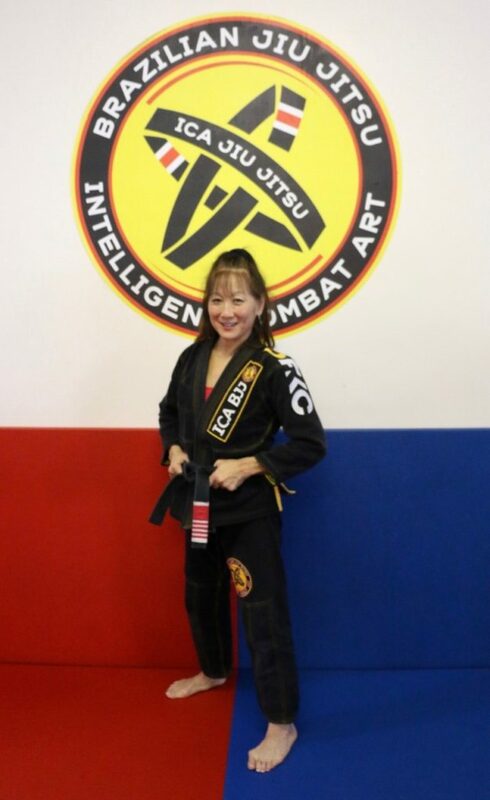 Cindy Omatzu has been training Brazilian Jiu-Jitsu for over 24 years and 15 years as a Black Belt. She has an extensive knowledge of the art and over 14 years experience as an instructor. She’s well known for her excellent technical skills and attention to details. Every class is focused on overcoming strength with proper technique and leverage. ICA BRAZILIAN JIU JITSU is an academy for martial artists who strive to improve their craft technically and competitively. Come in for a Free Trial today!